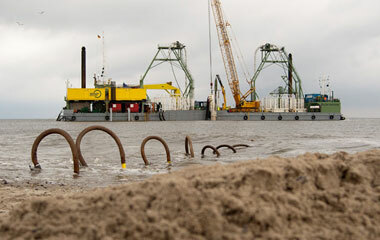 The BritNed cable connects the Dutch and British energy markets. 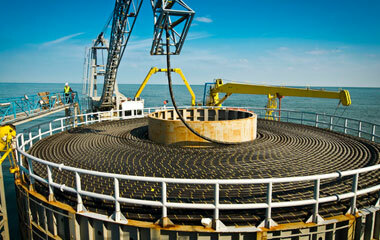 This two-way 1,000 MW high-voltage direct current connection has a length of 260 km and runs from the Isle of Grain (in Kent) to Maasvlakte (near Rotterdam). The operational and technical management of the cable is in the hands of BritNed Development Ltd, a joint venture of British energy company National Grid and TenneT subsidiary NLink International. This connection is part of a major Anglo-Dutch investment programme to ensure continuing security and diversity of supply and stimulate the use of sustainable electricity. The interconnector also contributes to a more open electricity market, providing greater import and export opportunities for the future. Electricity has been traded on the BritNed-cable since 2011. Market participants access the interconnector capacity through a combination of explicit and implicit auctions. Power flows are driven by factors such as supply, demand and prices in each market. The implicit auctions are facilitated by the APX energy exchange, now merged with EPEX SPOT. Explicit auctions are carried out via BritNed Development’s own auction system, Kingdom®. This approach gives market parties more choice in how they bid on capacity, contributing to greater transparency on European electricity markets. BritNed is a commercial interconnector, which means it is funded and operated independently from our regulated business. 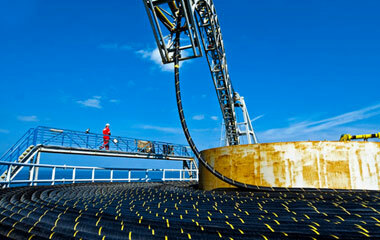 TenneT and National Grid are jointly responsible for the investment and the risks. The Dutch and Norwegian electricity grids have been interconnected by the NorNed cable since 2008. The NorNed cable is 580 km long and has a capacity of 700 MW, making TenneT and our Norwegian counterpart Statnett the joint owners of the world’s longest subsea high-voltage direct current cable link.